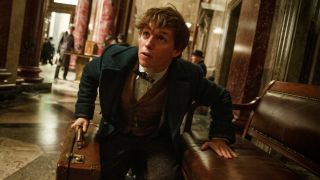 With Fantastic Beasts and Where to Find Them bursting into cinemas this week, many fans will be wondering what the future holds for Newt Scamander and his magical briefcase. Wonder no longer. Director David Yates will hope to repeat the magic as he’s planning on directing all five films in the franchise. Yates has already directed four Harry Potter films before the first Fantastic Beasts flick, and has told The Hollywood Reporter that he wants to helm the four remaining films in the franchise. For now, though, the director is concentrating on handling things “movie-to-movie” so don’t go expecting a Marvel-style release schedule for J.K. Rowling’s Wizarding World. Fantastic Beasts and Where to Find Them offered “enough thrills and genuine chills to satisfy” in our review but the director wants to top that, describing the sequel as “Much more haunting, like a dream.” What we do know so far about the Rowling penned sequel is a shift across the Atlantic to Paris and the UK and we’ll be continuing the story of Newt Scamander and the darker tale of wizard Gellert Grindelwald (Johnny Depp). The change of directors in the Harry Potter series meant that some films felt very different to the others; we’re looking forward to seeing a coherent vision come to life in the Potter-verse. Though Yates hasn’t officially signed on to direct all five films, we’re excited to see how he builds on what he’s already brought to the big screen – especially with a young Dumbledore turning up in 2018’s Fantastic Beasts 2.